Bridges vs. Bridges, next on Pay Per View MMA! I wish I was immune to the siren song that is Tron: Legacy. 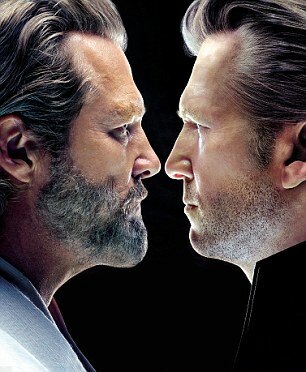 I wish I could say I didn’t want to see this movie and that I didn’t want to support the technology that is going to give us Jeff Bridges appearing on screen across from a digitized younger version of himself. I wish I could say that the previews didn’t make me wonder what else we could use the technology for in regards to remakes. And I wish all of this because I know film makers are looking at the new Tron movie thinking the exact same things I am. Those of us who were around for the original Star Wars trilogy have seen the revamps, re-masterings, and the originally deleted scenes. We’ve watched as George Lucas has added in a digital Jabba the Hutt opposite Harrison Ford and we groaned when he introduced Jar-Jar Binks, a completely digitized alien creature with a speech impediment. Hell, we even saw him use digitized versions of Storm Troopers in the prequels. None of this particularly phased me but now I am dreading the possibilities of what might come. Imagine for a moment that Lucas has already decided that the actors from the original trilogy looked too old in Empire and Return. We already know he has a love for tweaking and re-tweaking his movies. Now imagine the fact that he has the ability to go in and make the actors younger by replacing them with younger versions of themselves. He then he re-releases the whole batch because he knows we’ll freakin’ buy them! I’m not saying the technology isn’t exciting. We’ve heard that one of the main reasons Lucas wasn’t considering a continuance of the Star Wars movies was due to the age of the actors. We’re not talking about another trilogy that would be filmed 2 years after Return was shot but rather almost 30 years out and all the grey hair and wrinkles that entails for the main characters. One piece of software can take care of those age issues and while I would love to see the results of another trilogy using the technology, I think we’re entering into some unknown and legally ambiguous waters here. What legally ambiguity am I speaking of, you ask? Let me give you a for instance. 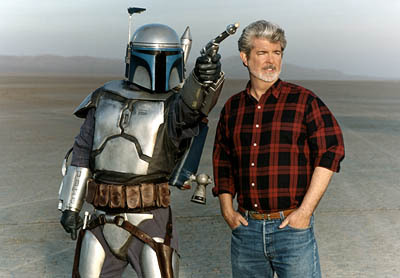 Let’s say that Lucas does decide to use the technology and decides to make a third trilogy in the Star Wars universe. He’s able to keep Alec Guiness in for a while longer by adding him digitally. Or perhaps Harrison Ford decides he’s not interested so instead of giving up on the project, Lucas goes in and digitizes Han Solo and hires someone else to do the voice. Before you jump up and say he can’t do that, well, he’s pretty much already done so prior to this scenario. Remember the end of the “re-mastered” Return of the Jedi? You know, when Lucas went and superimposed Hayden Christensen’s Anakin over the “Force ghost” originally portrayed by Sebastian Shaw? Yeah, that happened. You’re sitting there right now telling yourself that’s completely different, I know you are. Lucas couldn’t possibly digitize Han Solo and replace the voice, right? Why couldn’t he? He put the Clone Wars cartoon into syndication and aside from Anthony Daniels doing the voice of C3PO, there’s not a single person from the prequels performing any of the voices. Couldn’t Lucas argue that all he’s doing is a different form of animation and that it’s his Han Solo character he’s modifying and not the image of Harrison Ford? I didn’t intend for this to become a Star Wars rant. The fact of the matter is, however, that it is the best example to use in this scenario. We’ve already seen that with new technologies coming to light, there was nothing to stop Lucas from making some changes, albeit small changes, but changes nonetheless. We’ve already sat through movies where the main character spends the majority of his time on screen in a digitized form. We’re already watching characters voiced by famous actors in the form of cartoons. How much more would it take for directors and producers to decide that an actor was asking too much to reiterate his role as a particular character and that using a digital solution was the cheaper route? I’d like to say I was going to boycott the Tron movie but who am I kidding? I’ll be at the midnight screening if I have my way. 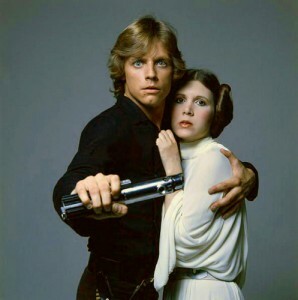 Star Wars 7,8,9 – Yes/No? More Episodes? Yeah, we're scared too. (MovieWeb) – George Lucas is reportedly plotting future Star Wars movies at his top-secret Skywalker Ranch, reports IESB, who claims this could be more than just a rumor. IESB is reporting that fans can expect the new trilogy after the entire saga is released in 3D which is expected to be complete around 2015 or 2016. Their source also claims the movies will not be prequels, but sequels. It’s not for certain if they will be the long awaited Episodes 7, 8 and 9 but could instead be Episodes 10, 11 and 12. New films or not, the live action Star Wars television series is currently in development, already has over 50 scripts ready to go and plenty of pre-production time and money spent on artwork and storyboards. Once that show goes into production, Lucasfilm hopes to be able to produce at least 100 episodes since that is the threshold for syndication in the United States. 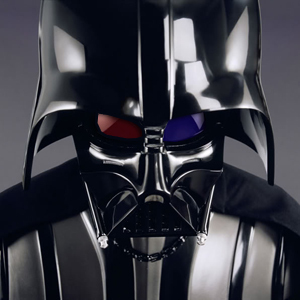 The "D" in "3D" stands for "Dark Side". It’s official. I hate 3D. I had sincerely hoped the new technology would lead to new classics, new stories, and new ideas. Instead what I’m seeing is a whole bunch of horror and kid movies using it which, in my opinion, is why interest in 3D movies died out the first couple of times around. It’s why it’s been a fad in the past and may very well be a fad this time around. Don’t get me wrong, I’ve loved some of the stuff that’s come out. Avatar may have been a retelling of “Pocahontas” or “Dances with Wolves” but the alien landscape really came to life in 3D. Not enough for me to see it more than once or want to throw down three grand for a 3D capable TV so I can watch it at home but as a sci-fi buff, I was sold on the technology when the first alien critter seemed to leap off the screen. Since then, I’ve watched several movies using the tech with varying reactions. “Despicable Me” was hilarious but did it really need the 3D treatment? No, it was touching, sweet, and funny with or without it. Could I have watched “Resident Evil: Afterlife” in regular 2D? Most assuredly so, but it was one of those movies that was actually able to make me flinch with the use of 3D and so the experience was heightened with its use. Would some older movies benefit from making the move to 3D? I honestly can’t say. The age of the movies has to be taken into account. I certainly don’t want to sit through “Casablanca” in 3D. In all honesty, I can’t think of a single movie that I saw over the years that would benefit from it. Well, there’s “Jaws 3D” but then we’re back into the whole “horror movies” shtick. That brings me to my next concern. One Mr. George Lucas. You see, I’ve watched with a small degree of horror as Lucas has gone back time and again and made changes to the superb story I grew up watching over and over. I cringed at the introduction of Jar Jar Binks but managed to forgive him that folly. I died a little inside when Anakin blew up the droid equivalent of a small Death Star and yelled, “Woo-HOO!” as he did it. But again I forgave and came back for two more installments. I understand it’s his galaxy and he can do whatever he wants in it. I’m willing to believe that he had something different in mind for some of the scenes. I’ll argue about Han shooting first but ultimately, it’s his ball and I don’t have to play with it if I don’t like it. But I sincerely believe the well is dry, George. You keep coming back but this time, I don’t think I can be there for you. The recent announcement that Star Wars was going to be released in its entirety in 3D met with my numb acceptance. I’ve come to terms that such a move was inevitable after the success of certain movies in the format. I’ve even accepted the fact that the movies will be released in actual order with Episode 1 leading the pack rather than Episode 4. I even like the fact that another generation will be able to grow up with the movies, experiencing the magic of the Star Wars’ universe for the very first time. So why am I not overjoyed at the prospect of getting to sit through the movies again in 3D? Simple. These aren’t the movies I’m looking for. Yeah, I went there. I have the original trilogy on VHS. They are the only reason I still have a functioning VCR. I’ve watched them to the point that I’m afraid that each time I put them back in the VCR will be their last from wear and tear. This will actually be the second set I’ve owned on VHS and they are the original, unedited versions and I will cling to them like a drowning man to a piece of flotsam to stay afloat. Now, before some of you go all high and mighty on me and tell me how if I were a true fan that I’d love the new stuff and find a way to embrace it, I want you to think about what I’m faced with here… 16 years. That’s the amount of time that passed between the launch of Return of the Jedi till the day Phantom Menace was released. During that time, I’ve watched, rewatched, and re-rewatched the series. 16 years of Han shooting first, Jabba being a very large puppet, of no CGI scenes, space battles with flickering backdrops, and, most importantly, no Jar Jar Binks. George, you left me alone with my VCR tapes for 16 years and now, there’s no going back for me. There’s your current vision and there’s the vision you showed me oh so long ago. I already shared one of them, I just can’t see my way to sharing another. Do I think the series will benefit from the 3D treatment? Most definitely. If there has ever been a series of movies dying for a 3D overhaul, it would be the Star Wars’ license. Do I agree with the launch of the movies in chapter order rather than chronological order? Absolutely not. The movies happened a certain way for me and I think the story was that much richer for being told in that order. I simply can’t agree with showing them in any other order. So why am I against the 3D treatment? Because I know that there are some inevitable changes coming to the original trilogy in order to make it “pop” for the 3D audience. And I’ve had all the changes I can take to my childhood memories. I have no doubt that the changes will make the movie leap off the screen but next thing I know, Han won’t have shot at all, instead holding up a deflector that caused Greedo’s blaster bolt to fly back at the screen making the audience jump and putting an end to ol’ sucker head. I truly hope the overhaul works out. I hope George makes millions more off of his story and that a whole new generation will fall in love with the series like I did. I won’t, however, be contributing to those millions this time around. Now if you’ll excuse me, I’m going back in my cave and firing up my “ViCaR”. Deleted scene from ROTJ. Mark Hamil says it’s not him. “As part of the announcement that Star Wars would finally be coming to Blu-ray, George Lucas screened a never-before-seen clip from Return of the Jedi over the weekend, showing Luke Skywalker building his own lightsaber in a cave on Tatooine. But according to Mark Hamill, he never filmed that scene. Either way, we think it’s rad.